High school dropout rates fluctuate, but this is a fairly common occurance. The reasons that teens will claim for dropping out vary from academic failure to boredom. The repercussions of dropping out can affect a teen for their entire life. Learn why teens drop out of school and ways to combat it. Struggling in school on a daily basis is the biggest reason most students choose to drop out of high school. For example, according to the Anne E. Casey Foundation by America's Promise, children who are not reading proficiently by fourth grade are four times more likely to quit high school than their peers. Since reading is required for everything in higher grades, the lower the reading level the harder time a student will have in school. For example, if John has trouble reading then history, math, social studies, etc. will become more difficult increasing the likelihood of failing classes. Discouraged, John might drop out of school since he doesn't feel it is getting him anywhere, anyway. Early intervention is crucial in keeping kids engaged, successful, and in school. Parents, teachers, and administrators should be on the lookout for students who are struggling with core courses, especially in the elementary years. Reading Partners points out different strategies that parents and teachers can use to try to improve reading levels, like shared reading, keeping books accessible, encouraging reading and one-on-one reading interventions. Students must attend school consistently. A study done of public schools students in Utah showed that chronic absenteeism of even 1 year from 8 to 12 grade lead to a seven-fold increase in dropping out. Chronic absenteeism is also blamed for students falling behind. Additionally, absenteeism spikes in high school students. Schools must carefully monitor attendance and notify parents immediately if students are missing school on a regular basis. Aggressive persistence, teacher support, and engaging parents could be the key to making sure students show up for school and stay there. 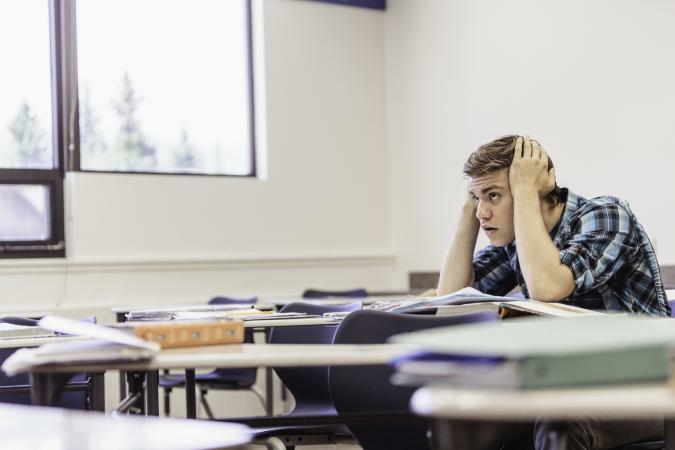 Often, students disengage from learning, feeling that their teachers do not care for the course material or understand how to connect it to real life. Students who are not involved with their school have a high chance of dropping out. According to a study by the High School Survey of Student Engagement, at least 65% of students are bored at least once a day. Additionally, over half of dropouts list boredom as the reason for leaving school. High schools need to seek a variety of activities to help engage all students. For example, School Leaders Now points out that schools can try offering multiple modes to graduation since everyone learns differently, along with more career and technical classes since these can be more interesting to students. Learning how to build a website can not only give a teen a career but keep them engaged in school studies. In addition, schools, teachers, and administrators need to seek to create a community atmosphere to help students feel as if they belong. Parents can help by encouraging students to get involved in activities and develop talents and outside interests besides academics. Managing a healthy teen pregnancy while staying in school is extremely difficult. According to the Child Trends, only about 53% of teen moms get their high school diploma. The high dropout trend of teen mothers comes down to a lack of support and child services that are offered. Additionally, these mothers need financial means to raise a child which can be difficult while going to school. Some ideas to help pregnant students include alternative high school options, such as part-day or online courses. High school counselors can be of great assistance in preventing pregnant students from dropping out of high school. In addition, some schools offer in-school daycare for teen moms. According to a study by the National Center of Education Statistics, students with low family incomes have the highest dropout rates at 9.4%. This is because many times these children need to get a job rather than going to school so they can help to support their families. Creative options exist for students who must earn money while in school, including work-study programs (students can earn credit for working part-time jobs) and online programs for students to take classes when they aren't at work. In addition, families may be eligible for financial resources. Communication with school administrators on the impact of financial difficulties can provide a range of options that will assist the family and keep the student in school. According to a Canadian study, those students with depression were twice as likely to drop out of high school. This is because their illness can affect their ability to learn and their engagement. These students also tend to go unnoticed because their condition might be chalked up to being a teenager. Much like any other disease, knowing the warning signs of a mental illness can be crucial to helping teens before they drop out. Finding services that can help to treat their conditions, along with counseling services can make all the difference. Drug use among teens is a big problem. While it reached its lowest levels in 2017, the rates of drug users in high school are still high. The National Center of Drug Use and Health noted that 58.6 percent of dropouts were drug users. This is compared to 22% of those still in school. As teens start using drugs or become addicted not only does their engagement worsen but they start to miss more school leading to them not coming at all. Fixing the problem starts with educating students on drugs and the effects of drugs. Teachers and parents can also work together diligently to watch for the warning signs of drug use in teens. Additionally, it isn't just street drugs that need to be worried about, communities and parents must also discuss the dangers of abusing prescription drugs as well. Students with disabilities, whether they are physical or emotional, have a harder time in school. And it shows. According to a 2015 study, only about 62% of students with disabilities graduate. Depending on their disability, it can not only be harder for them to maneuver around the school, but they can become isolated as well. Interventions are key to improving school life for students with disabilities Schools might need to add physical aids for children with physical disabilities, along with specific interventions for those with emotional/behavior issues. Not only can administrators, teachers and parents work together, but it can be helpful to get the community involved. Staying in school is a choice. While there are numerous reasons that kids drop out, programs and interventions can help to bring students back whether they are bored or abusing drugs. Finding the right treatment option is key to getting our kids back on the road to success.